I am an author, activist, blogger and consultant who spends a lot of time exploring the commons as a new paradigm of economics, politics and culture. I've been on this trail for about twenty years, working with a variety of international and domestic partners. In 2010, I co-founded the Commons Strategies Group, a consulting project that works to promote the commons internationally. More recently, I have become Director of the Reinventing the Commons Program at the Schumacher Center for a New Economics, based in Great Barrington, Massachusetts. 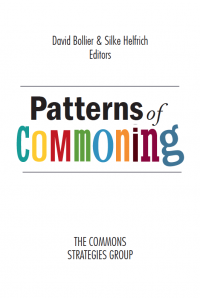 My work on the commons takes many forms -- as an author and blogger; frequent international speaker; conference and workshop organizer; contributor to book anthologies; designer of courses on the commons; and advisor and strategist. I have hosted an educational film, This Land Is Our Land: The Fight to Reclaim the Commons; taught "The Rise of the Commons" course at Amherst College as the Croxton Lecturer in 2010; served an expert witness for the “design commons” in a trademark lawsuit; and contributed chapters to numerous book anthologies. I was Founding Editor of Onthecommons.org and a Fellow of On the Commons from 2004 to 2010. I have written, co-authored or co-edited twelve books. My first book on the commons was Silent Theft: The Private Plunder of Our Commons Wealth (2002), a far-ranging survey of market enclosures of shared resources, from public lands and the airwaves to creativity and knowledge. 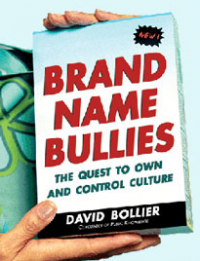 Then I extended this analysis in my 2005 book, Brand Name Bullies: The Quest to Own and Control Culture, which documents the vast expansion of copyright and trademark law over the past generation that has enclosed our cultural commons. 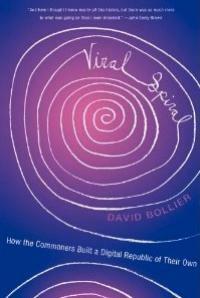 In 2009, I published Viral Spiral: How the Commoners Built a Digital Republic of Their Own, which describes the rise of free software, free culture, and the movements behind open business models, open science, open educational resources and new modes of Internet-enabled citizenship. 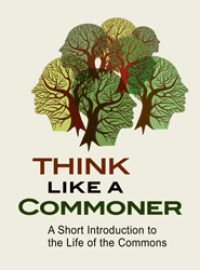 The book that most encapsulates my thinking on the commons is my 2014 book, Think Like a Commoner: A Short Introduction to the Commons, which has the virtue of being relatively short as well. It has been translated into French, Italian, Spanish, Polish, Korean and Greek, with a Chinese translation now in the works. 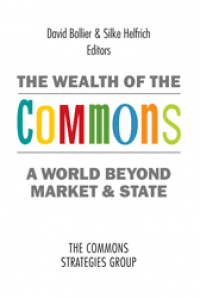 Two other fairly recent books on the commons include The Wealth of the Commons: A World Beyond Market and State (September 2012, Levellers Press), which I co-edited with Silke Helfrich. 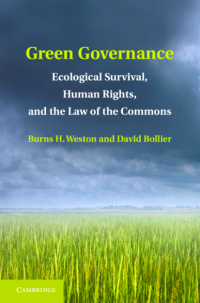 I co-authored Green Governance: Ecological Survival, Human Rights and the Commons (2013, Cambridge University Press), with the late Professor Burns H. Weston. In 2014, I also co-edited, with John Henry Clippinger, From Bitcoin to Burning Man and Beyond: The Quest for Identity and Autonomy in a Digital Society (ID3 and Off the Commons Books) The anthology of 15 essays describes new tech developments that are enabling new forms of self-organized governance, secure digital identity and user control over personal data. From 1984 to 2010, I worked with American television writer/producer Norman Lear on a variety of non-television, public affairs projects. For many years, also, I was Senior Fellow at the Norman Lear Center at the USC Annenberg School for Communication and co-founder and board member (2001-2011) of Public Knowledge, a Washington policy advocacy organization dedicated to protecting the information commons. In 2012, I won the Bosch Berlin Prize in Public Policy for my commons work from the American Academy in Berlin. This entailed a residential fellowship and travel in Europe. I live in Amherst, Massachusetts, a place that knows a lot about commoning and so inspires a passionate hometown loyalty.